Every sentence has a complete subject and complete predicate. This lesson explains about the subject and predicate of a sentence. Now, let’s learn about the subject and predicate one by one. The subject of a complete sentence is who or what the sentence is about. The subject of a sentence includes the noun or pronoun along with all the words that modify, or describe it. The predicate of a complete sentence tells about the subject. The predicate of a sentence usually contains the verb of the sentence along with all the other words that tell more about the subject, and some of these words can also modify the verb. James is the subject of this sentence, because the sentence is telling something about James. What does the above sentence tell about James? It says that James cleans the dishes. Also, remember the predicate always includes the verb. 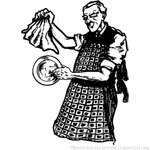 Therefore, in example 1 the subject is James and the predicate is cleans the dishes. The frog jumped over the dog. Who jumped? The answer is the frog. So the subject is the frog. What does the above sentence tell about the frog? 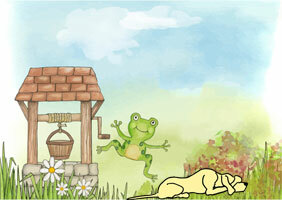 It says that the frog jumped over the dog. Predicate: jumped (verb) over the dog. Therefore, in example 2 the subject is the frog and the predicate is jumped over the dog. Now, let’s try a complex sentence. Last Friday evening Mrs. McQueen’s children were playing in the park. This sentence talks about several different things such as last Friday evening, Mrs. McQueen’s children, the park. Now, what’s the subject of this sentence? Next ask, who were playing? Yes. Mrs. McQueen’s children were playing. So Mrs. McQueen’s children is the subject of this sentence. You know the predicate always carries the verb. Therefore, were playing in the park is the predicate of this sentence. What is a subject in a command? The above sentence is a command. What is the subject of this sentence? The only noun appears in this sentence is ‘window’ and we can see the verb is ‘go open’. But, obviously we know the window is not about to ‘go open’. In such sentences the speaker is giving a command to someone to ‘go open that window’. It’s like ‘You go open that window’. Therefore, in a command like this, we can assume that the subject is ‘you’. 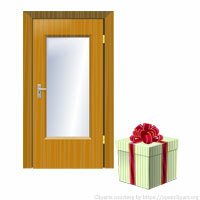 There is a beautifully wrapped gift at the door step. What is the subject of this sentence? It’s definitely not ‘There’. Then find the verb of the sentence. It’s ‘is wrapped’. Now ask the question; What is wrapped? The answer is ‘a gift’, which is the subject of the sentence. We know that the subject of a sentence includes the noun or pronoun along with all the words that modify, or describe it. But the simple subject of a sentence is the noun or pronoun all by itself. 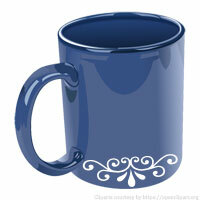 The dark blue mug with the white border at the bottom was my grandma’s favourite mug. So the simple subject of the above sentence is ‘mug’. All the other words (the, dark, blue) in the subject modify or describe the simple subject, ‘mug’. 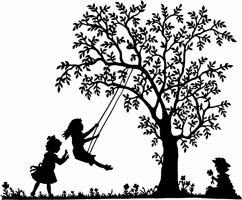 What is a simple predicate? We know that the predicate of a sentence usually contains the verb of the sentence and all the other words in the predicate tell more about the subject, and some of the words can modify the verb too. But the simple predicate of a sentence is the verb of the sentence. When there are two or more nouns that act as the subject in a sentence, such a sentence contains a compound subject. Stephanie and her friends went to the library last Tuesday. Therefore, Stephanie and her friends comprise the subject of the above sentence. When there are two or more verbs that relate to the subject in a sentence, such a sentence contains a compound predicate. What is the verb of this sentence? There are two verbs in this sentence; fell down and broke. The only subject for both verbs is Jack. So the predicate of this sentence is fell down and broke his crown. Hope you’ve enjoyed learning the lesson, Subject and Predicate! Now, click here to test your knowledge in subject and predicate of a sentence. Enjoy gaining more knowledge in subject and predicate!